Riggs Outdoor Power wanted to increase their part sales. ARI’s Digital Advertising team leveraged a wide variety advertising tactics to help them achieve an 96% more sales! The dealership saw an increase in their online presence which helped drive more part sales to their business in 2017. 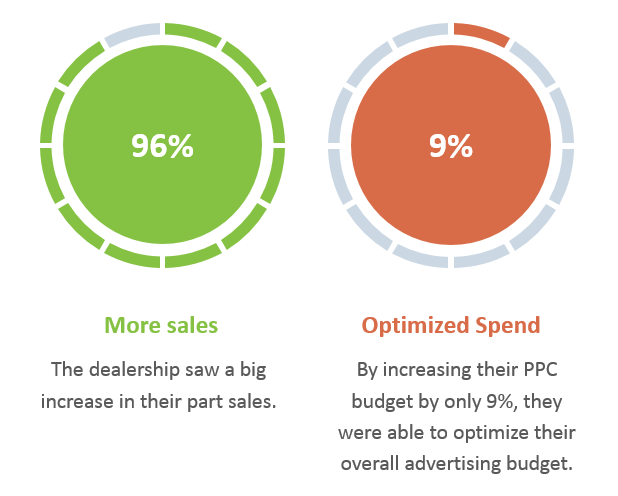 Plus, they were able to optimize their monthly advertising budget while increasing their sales by 96%.